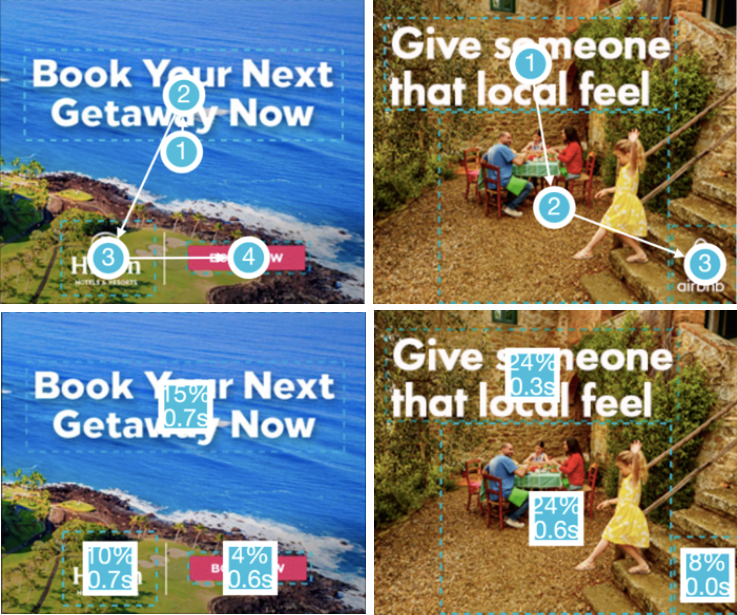 Despite the fact that both ads matched expected MPU viewability norms; Airbnb's ad was twice as engaging as Hilton's with a norm beating of 0.8 seconds! Both ads showcased a similar logical view order where attention was mainly drawn towards the headline and imagery, which helped ensure the purpose of the ad was met. Airbnb's use of people in their imagery kept viewers interested for twice as long - Making Airbnb our winner! People build interest : Featuring people in imagery helps grip and sustain viewers attention for a longer period of time.